Professor Ethan Chiang’s research focuses on empirical asset pricing, portfolio management and performance evaluation, fixed income securities, and financial econometrics. He has published scholarly articles in leading financial economics and asset pricing journals, such as Journal of Finance, Review of Asset Pricing Studies, and Journal of Banking & Finance. His papers have been included in the programs of major international conferences, such as American Finance Association Annual Meetings, European Finance Association Annual Meetings, and China International Conference in Finance. His research has been recognized with best paper awards from the Belk College of Business, as well as from international academic societies, including Financial Management Association, Eastern Finance Association (twice), and INFORMS. 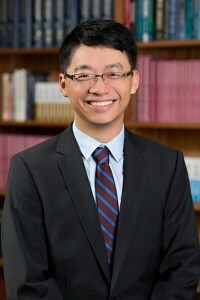 Professor Chiang teaches PhD Portfolio Theory, MS in Math Finance Fixed Income, MBA Financial Management, and undergraduate Investments at UNC Charlotte. Prior to joining UNC Charlotte, he taught Investments and MBA/MSF Fixed Income Reviews at Boston College, and Business Finance at the University of Washington. Professor Chiang received BA in Economics from National Taiwan University, MBA from National Chengchi University (Taiwan), and PhD in Finance from Boston College.